Halong Bay is unique in the world which according to legend was created when a dragon sent by the Jade Emperor jumped into the water waving its tail, forming deep valleys and crvasses. True or not, it is undeniable that this place is unforgettable. It is not far off from Hanoi. An amazing place that really takes your breath away! 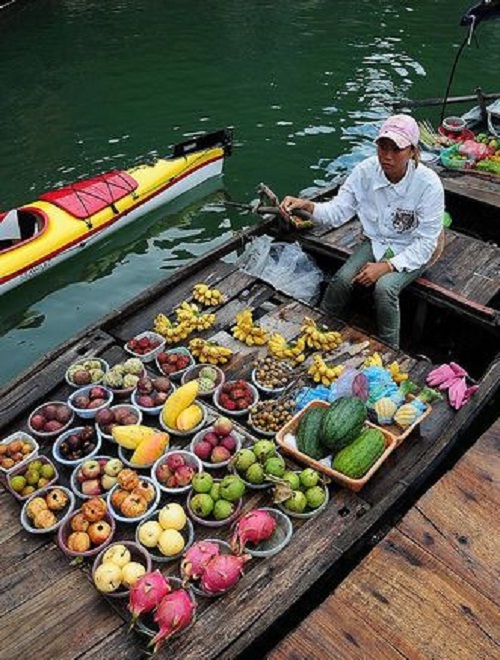 If you just have 1 day in Halong Bay, these are something you should try. 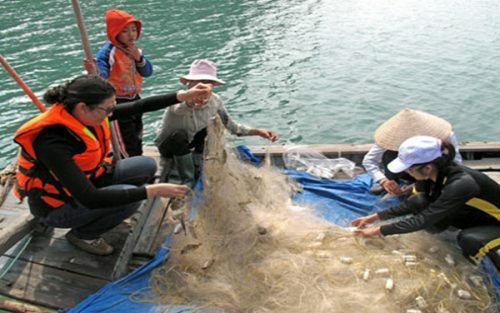 After that, stay on the cruise to sightseeing, visit fishing Villages on a small boat. You will be treated to a glass of wine and an intense, fiery sunset on the rooftop deck with both the sky and sea turning flame orange. Spending time with a local in such an insanely beautiful, private setting is more than you ever expected. The night rolled on with yet another amazing meal, karaoke, and more failed attempts to catch squid. 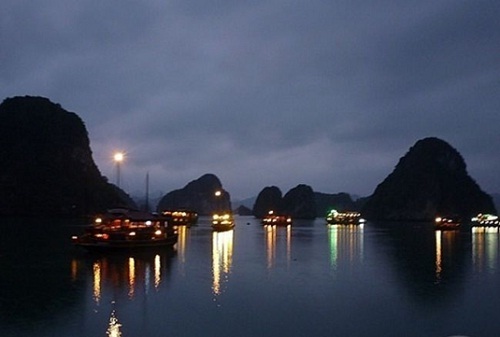 Spend the night in Halong Bay in Vietnam on a boat with your friends. It was just amazing! You are able to kayak around for a bit. The scenery was incredible! 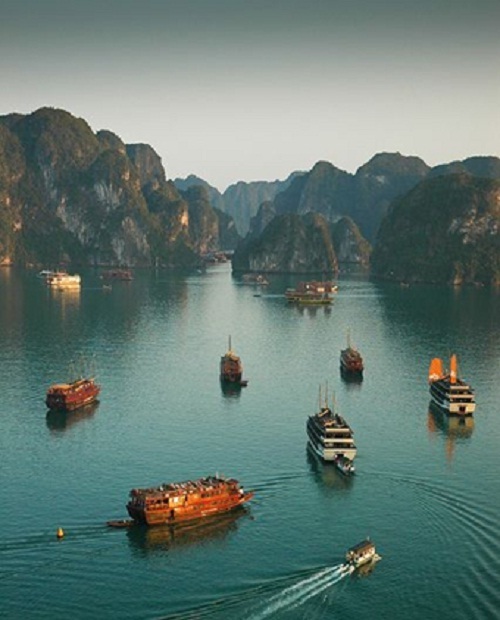 Or you can enjoy Halong Bay by night on cruises like a floating luxury 5 stars hotel in the sea, each cruise has own intinerary for it, but almost cruises take you to the best. 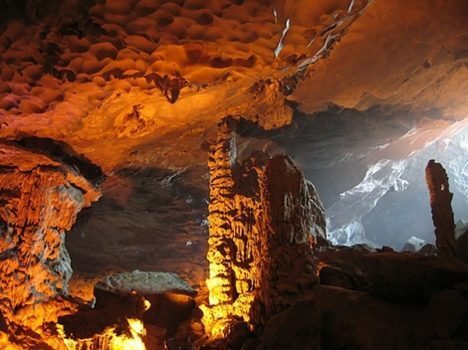 Discover Halong Bay in depth through highlight of this area where make you forget troubles in your life with unforgetalble memories about a natural wonder of the world.